This is a great addition to a large swim tank (125 +) with other larger fish. The female, generally called a Brown Bird Wrasse can be kept with a male, but should be introduced to the tank before a male is added. 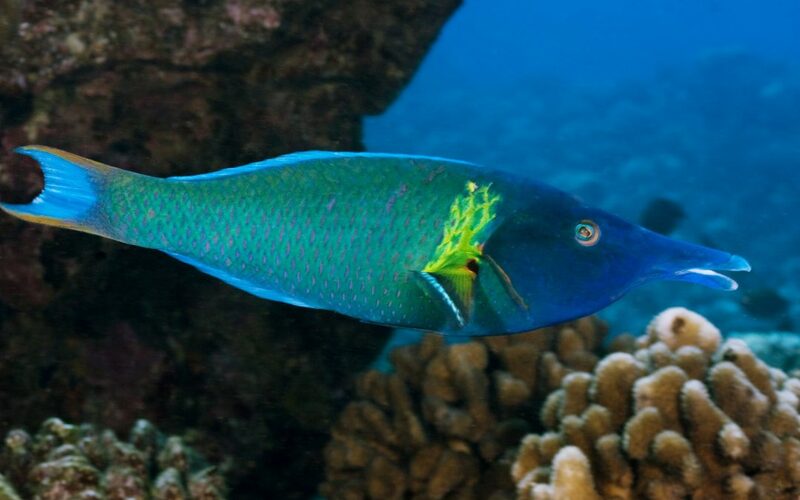 Two requirements for housing this fish are a deep sand bed (not crushed coral) and a tight-fitting lid. The green bird is find of swimming about the tank and resembles a graceful bird gliding in the sky. It is a carnivore and should be fed a variety of meaty foods. 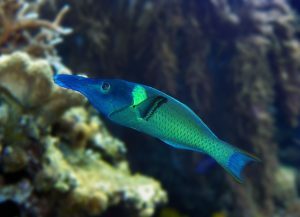 To find out more about the Green Bird Wrasse and our current inventory selection, please contact our aquarium fish store for more details. To Go Bare Bottom or Not?